amti recipe | maharashtrian amti dal recipe | toor dal amti with detailed photo and video recipe. the word amti literally means tangy with the combination of spice and sweetness. the tangy taste is mainly due addition of kokum, sweetness from jaggery and spice is from the goda masala. it is ideally served with plain rice jeera rice for lunch and dinner. 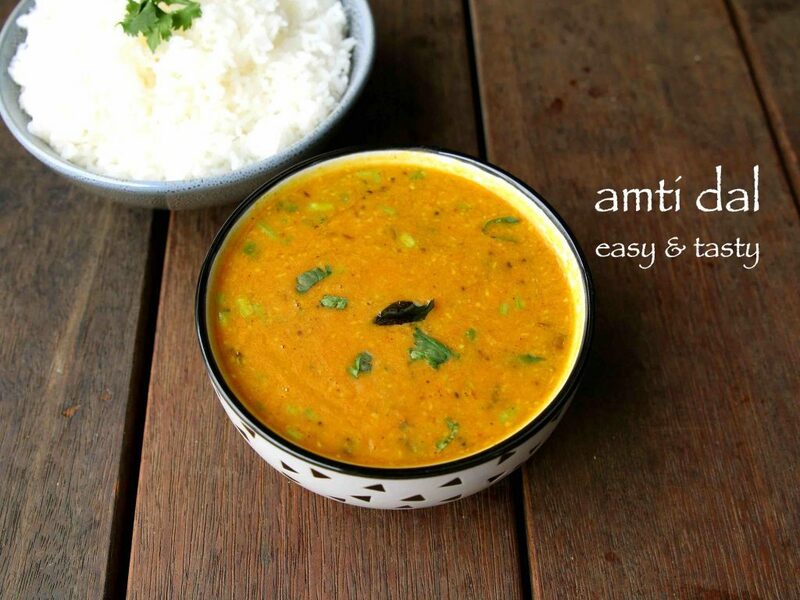 amti recipe | maharashtrian amti dal recipe | toor dal amti with step by step photo and video recipe. basically a traditional maharashtrian style dal recipe prepared with toor dal / pigeon pea lentil. 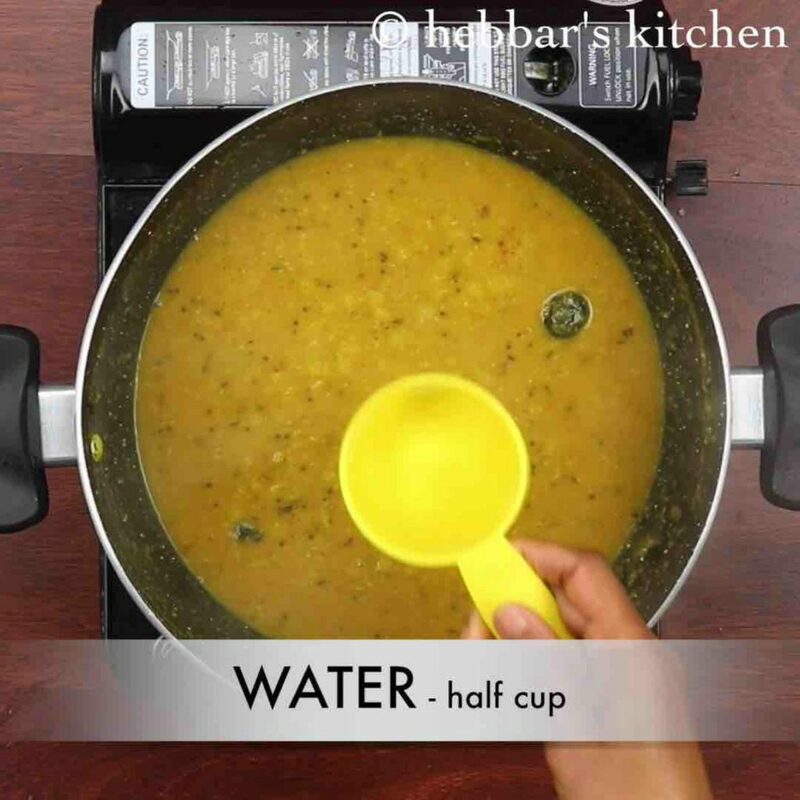 the recipe follows the conventional dal recipe, but has its own uniqueness. in other words the combination of sweet, sour, spice and tangy taste makes it unique and specific to marathi cuisine. 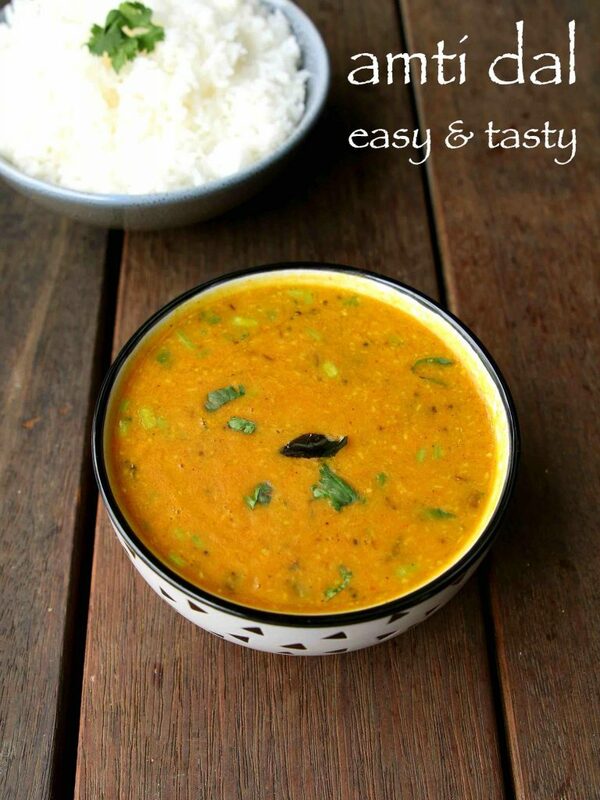 there are several ways the amti dal recipe is prepared within maharashtra. the variation is mainly with the ingredients added to amti recipe. in some part of western india, amti dal is prepared with tamarind as an alternate to kokum. there would be difference with the flavour but has the same effect. also, some may add sugar instead of jaggery but i would heavily recommend and stick to jaggery or palm sugar. in addition the coastal marathi cuisine may add freshly grated coconut to the toor dal amti recipe. even i have added but if you do not prefer you can easily skip it. furthermore some easy tips and variations for a perfect and healthy amti recipe. firstly, pressure cook the toor dal well and whisk smooth. also adjust the amount of goda masala to your taste buds. 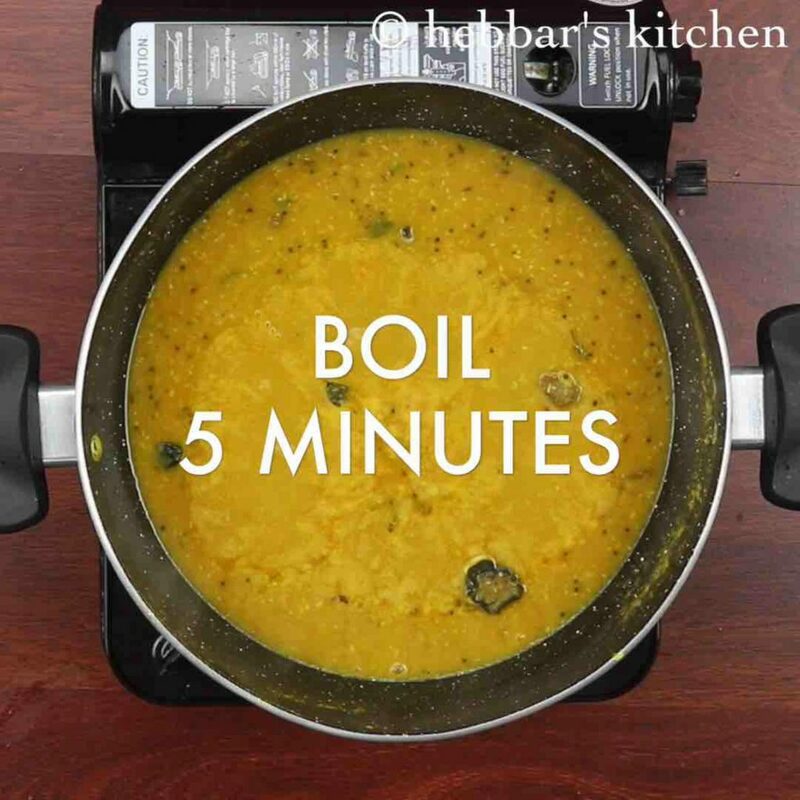 lastly, use fresh homemade ghee to prepare this dal as it takes amti dal to new dimension. 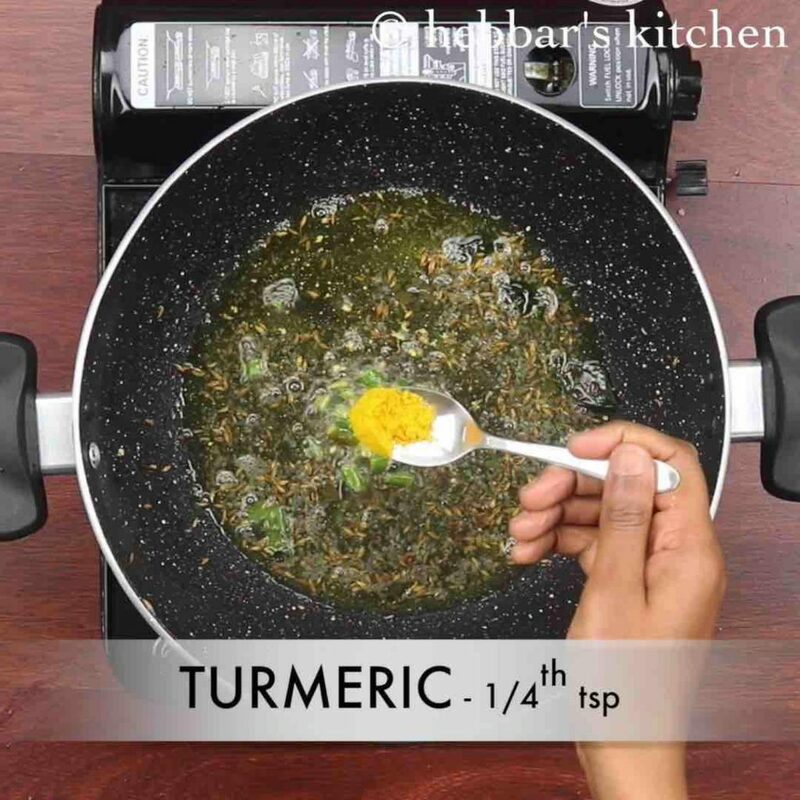 firstly, in a large kadai heat 1 tbsp ghee and saute 1 tsp mustard, ½ tsp jeera, pinch of hing and few curry leaves. also add 1 green chilli, ¼ tsp turmeric and saute on low flame. 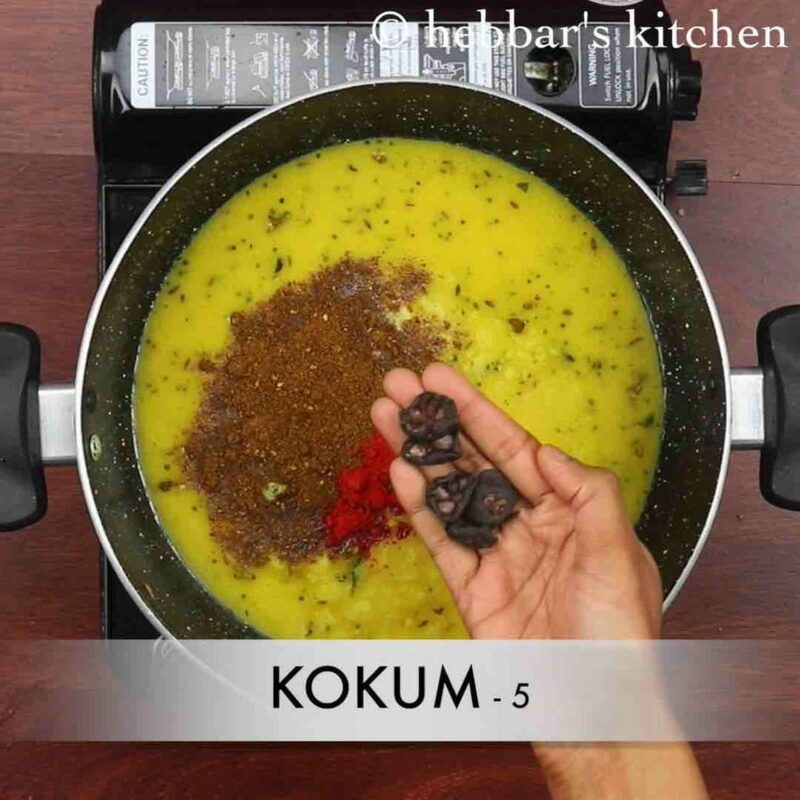 get the dal to boil and add 1 tbsp goda masala, ¼ tsp chilli powder, ½ tbsp jaggery, 5 kokum, 2 tbsp coconut, ¾ tsp salt. mix well. 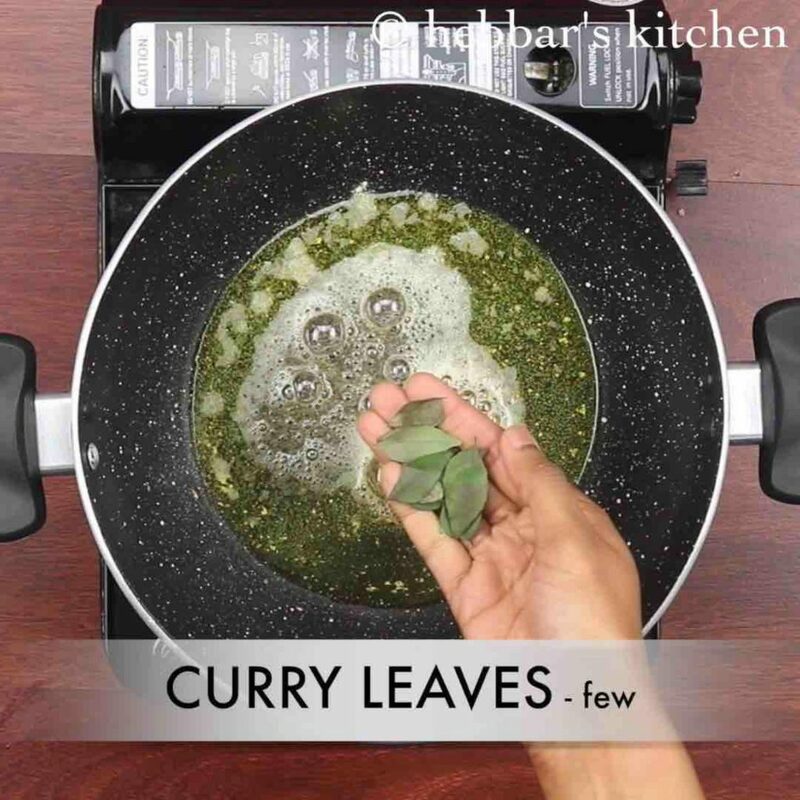 add ½ cup water and adjust consistency as required. mix well and boil for 5 minutes or till spices gets cooked completely. finally, add coriander leaves and serve amti dal with hot steamed rice. firstly, use ghee for more flavours, however you can replace with oil if you are diet conscious. 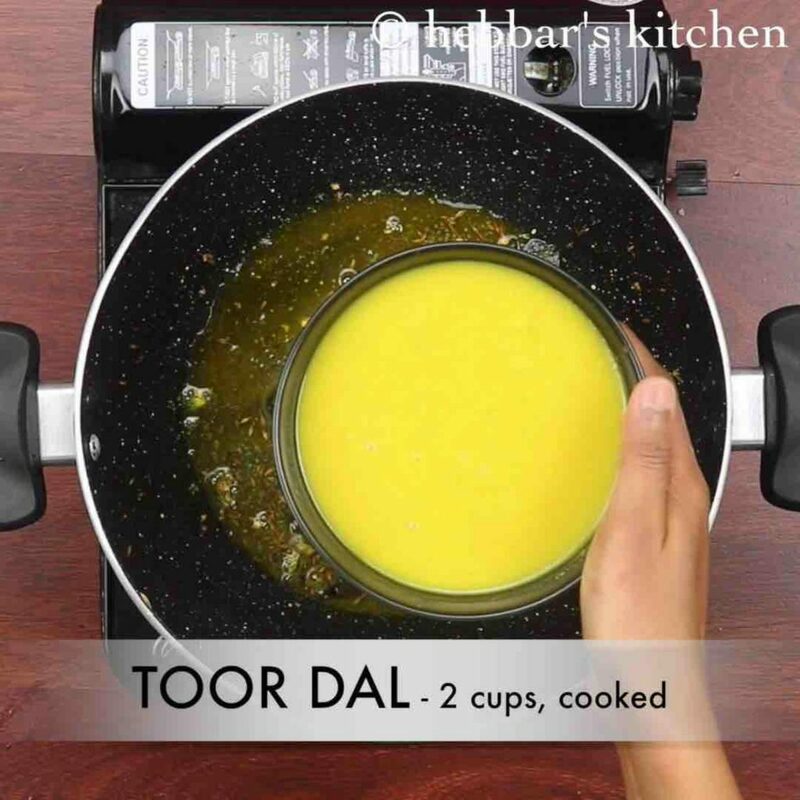 also make sure to whisk the toor dal well before adding to tempering. additionally, if you are not able to find kokum, then replace kokum with tamarind juice. 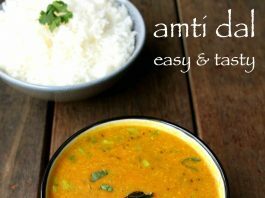 finally, amti dal taste great when the flavour of spice, tangy and sweetness is balanced. Please give the recipe for the goda masala!love your recipes and have tried many.enjoyed them very much.mostly i go for the traditional ones.i am soo happy that you include them.love your presentation.